Here are 3 players with high ownership to push out of your thinking for the coming weeks. I’ll review their previous performances and lay out my thinking for you. Check out the next page for the Pundit's views on who you may want to consider instead! Confirmed out for a month – at least for the festive fixture pile-up – is reason enough to move out the West Ham forward. Even so, I’d moved him out before GW14, based on just 6 shots and no goals in 3 games. There has been a lot of chatter around Arnie’s knee problem this season, which many believe has resulted in his ‘up-and-down’ form. He has also fallen in price recently and I expect he’ll drop again even more! Now stay with me on this one, because I know you might be calling for my head! It’s a value call. He’s 1.5m more expensive than Sterling, who is hitting the heights in so many ways this year. That extra 1.5m could allow you to upgrade your bench, bring in an additional premium asset or just spread the funds to improve your team structure. Salah has a measly 2 bonus points all year, which came in the game at Anfield against Cardiff, where he scored and made 2 assists! 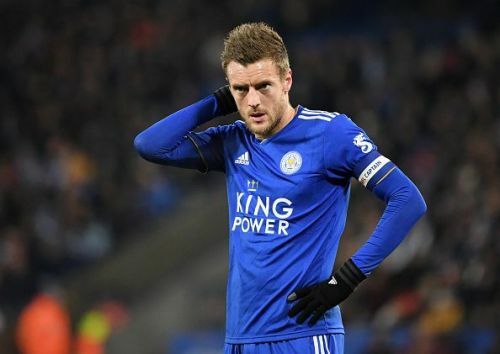 Rumours are circling that Vardy (owned by 4% of FPL bosses) may require surgery on an ongoing groin problem, which may explain why he has not played 90 minutes since GW12 against Burnley. Vardy’s last 3 goals have all been penalties, he’s not scored from open play since GW6. He has also managed only 6 shots in his last 4 games, compared to the 12 shots in his opening 3 this year! He may have been in your thoughts due to back to back goals in GW13 and 14 - my advice is to avoid if you don’t have him, or sell him if you do!